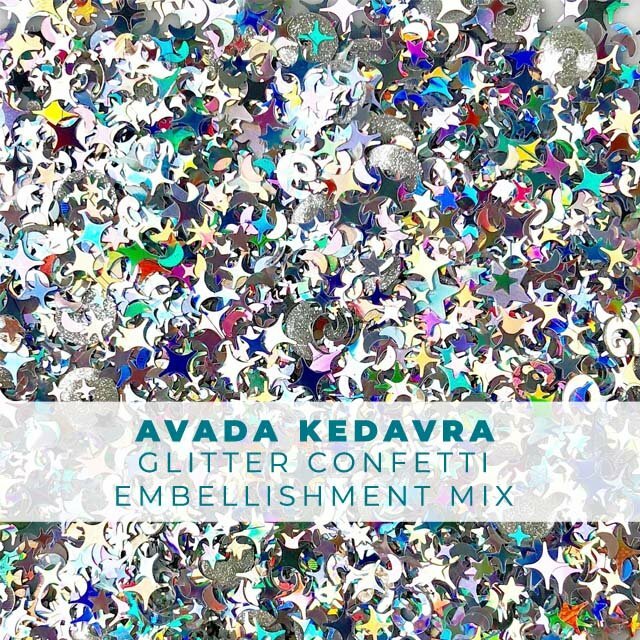 This magical embellishment mix is full of fine glitter like confetti with several styles of stars plus other magical shapes. It has a silvery media disk (C.D.) like finish that has different rainbow colors when it hits the light. This embellishment mix is perfect for your Magical Wizard cards too! 1 teaspoon packaged in a zip-top storage bag or Tiny Container storage box. These containers are the ones used in the Elizabeth Ward storage tray system that many crafters use for storage (but can be used without the tray as well).